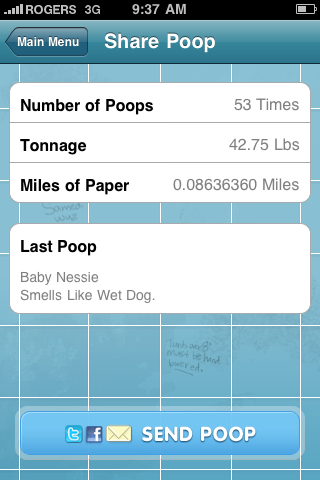 We’ve had a few questions from users who are wanting to link their poops to Twitter and Facebook. There’s an app for that, right? 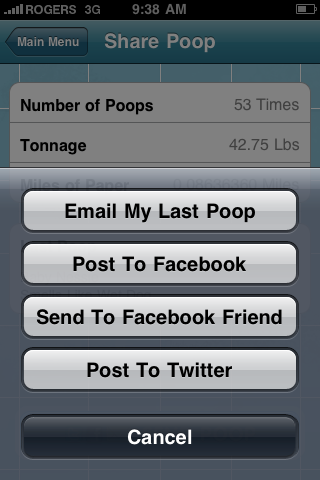 - After you input your Twitter details you will be able to automatically broadcast your poops to your Twitter followers. For Facebook, all you have to do is make sure that Auto-Login and Auto-Broadcast are selected and you’re good to go. Hit ‘Settings’ in the top left to save. What Happens When I Auto-Broadcast My Poops? Glad you asked. It’s pretty cool actually. Don’t These Get Stale After a While? Heeeeeell no. 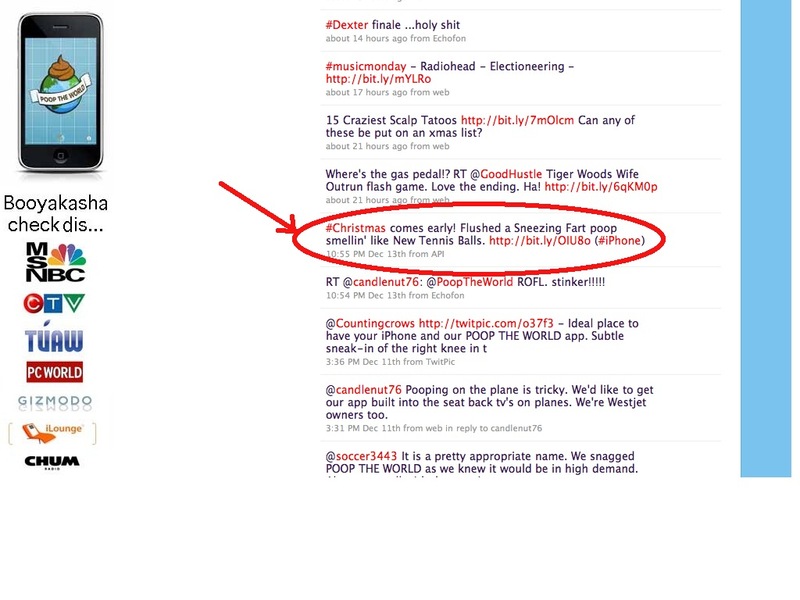 We can update these puppies at will and what makes them cool is that we can target them in Twitter to trending topics so that not only are you sharing your funny poops with friends but the keywords as they relate to trending topics (Above example: #Christmas) allows your post to respected by others. We find this is a good way to get more followers. Try it! 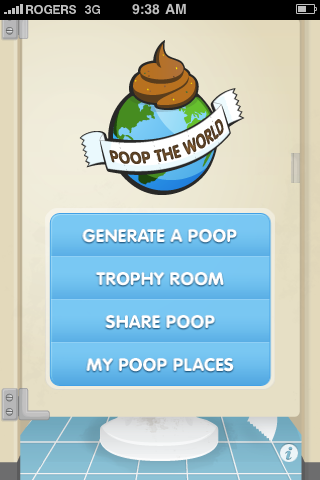 If you are reading this and you are one of those reviewers who doesn’t take the time to check out apps before writing a review, this is where there seems to be a misconception so read carefully: POOP THE WORLD DOES NOT INVOLVE ANY IMAGES OF REAL POOP. That’s sick. Ours are funny little cartoon Ren & Stimpy-like poops. Cool? Then select the type of message you want to send. In the case of selecting specific people select Email My Last Poop or Send to Facebook Friend. That’s it! Told you it was cool.